Marble Fox as a Pet? If you ask many people if they have ever heard of a marble fox, nine times out of ten, they would say no or think it is a mythical creature out of a fantasy movie where they appear creeping in the woods as a specific point of the storyline. As mystical as it seems, the marble fox actually exists in real life. These exotic animal stems from the canine family but are wild animals such like the wolves. Unlike the wolves, foxes don’t hunt in packs, they are more of a lone hunter. 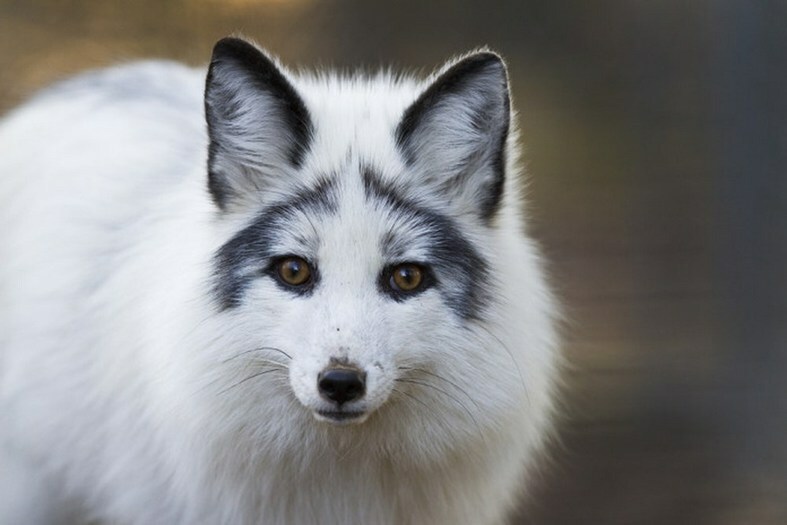 When it comes to the exotic marble fox, also known as the arctic marble fox because they are from Alaska or Canada region, they can adapt in the cold and live for 3-4 years in the wild. Not too far from the mythical standpoint, this breed was not done naturally but by man’s intervention. Their coats are thick white fur, that mostly covers their body. There are various color mixes of grayish blacks intertwining within itself like marble (or sometimes a brownish color), around their ears, and around their eyes, on some, as like a burglar’s mask; hence their name marble fox. Also, known for the unusual pointy muzzle and furry tails, as well. So many fox species out there with each having its own unique way about them. Each of these different types of species having their variety of colored fur as like humans, meaning not being all the same but all being beautiful in their own way. The various shades of color can vary across the world. Some having brown fur with specks of gray, or tan coats, or the infamous color red fox, a reddish orange, that are seen mostly in fairytales and children stories, many times playing the cunning or sly part. As cute as they are, they are not built to be domesticated. Although, as controversial as this topic can be, it is up to the personal choice in deciding if it is a good idea to own one. It is always a good idea to do your research of what types of foxes can be domesticated and which ones should be left in the wild. These types of exotic animals are to be in the wild not in a home because like in some fairytales and quotes that are used like, “sly as a fox”, it is a reason for its meaning. Foxes are not able to be tamed for the long haul, it may seem as if it can work, but their sly behavior can say otherwise in any situation. They may remind you of cats, having their own personalities, but these types of animals from the wild are unpredictable leaving it open for harm or danger for people or domesticated animals around them. You wouldn’t want to see it on the street. You’d walk, or should I say, run the other direction. This is because most people know that these animals are of the wild and most times, more than some, are dangerous. You also, would have to check with your state to see if owning them are even possible. Some states like Arkansas, Alaska, Indiana to name a few, may be legal although not confirmed. You would have to check for your states provisions and guidelines to own one. It also depends on the type of fox they would allow you to own. Unfortunately, most states, it may not be possible since these are considered “wild life” that are not to be considered domesticated, although, there are cases of people having domesticated a fox. You would also have to understand most foxes may carry rabies and if the animal were to bite you or anyone in the home, it may have to be euthanized since to vaccinate it, would have to be considered if it was through research, it is said. As far as marble foxes being a good pet to have, let’s look at the information already provided above, along with the breed of this type of animal. The breed is a mix of the original red fox and the silver fox, both having wild like characteristics. Although, in the canine group, unlike the domesticated dog, foxes are prone to being unpredictable and sly as they are known for. There are dealers and breeders around that someone could look into getting but it can be a “get at your own risk” type of deal, since the original sources were of the wild and you won’t know the outcome of the fox unless you live with it. It would not be a good idea to have this pet in a home of small children or domesticated cats. Dogs may be okay since they have similar qualities but the difference between the two is with a fox, they are not good with being trained. Whereas a dog, they can be trained due to the alpha mentality. When it comes to a fox, they are more independent and doesn’t see the need to be trained. They would want the treats, but not necessarily to do what the trainer or owner is asking of it. Another difference from a dog is they smell. They have a lasting foul odor, hard to remove off them. This musky skunk scent may lessen after being neutered but the scent will never go away, whereas a dog it may take weeks and a bath to clear them of their scent. If still having the desire to have a marble fox as a pet, remember to check your state laws and guidelines on having an exotic animal in your home. It helps gain more insight and reviews of those who already tried it and made it work or failed. Also, find out how to take care of these types of exotic animals before taking on such a big responsibility in owning a fox and the breed suggested for you to have. No one can force you not to have a fox as a pet, but to help you make that best decision is to first find out for yourself if it would be beneficial for you and the animal and having the funds and the resources to cover the cost and the take care of them, too. MadelineDyer, Pet Foxes – Are They Different From Dogs?